Do you like sitting on the edge of your seat? Then you have to love the spring season. When a team that didn’t even make the tournament last spring plays for a state baseball championship this year — North Reading — you know it’s spring. Take a group of seniors who already have graduated, stick them on a field, and anything can happen. That’s what makes the spring so unpredictable. This season was the swan song for some of the state’s great student-athletes, such as Jeff Trainor, Nicole Jorgensen, Jack Masterson, and Brianna Duncan. For all those reasons and more, the spring produced sweet memories. In no particular order, here are 10 stories that stood out. 1. Roll the dice? Sure, what’s there to lose? After 37 years and 548 wins, why not call for a suicide squeeze in the bottom of the eighth inning of the state championship game? That’s what longtime Dighton-Rehoboth coach Bill Cuthbertson did in a scoreless game with Danvers. With the Division 2 state baseball title on the line, and sophomore Steve Silvia at bat with the bases loaded, Cuthbertson made the call. It worked, and Silvia’s perfect bunt surprised everyone, with Brody Rubenstein scoring easily from third. “We probably haven’t squeezed in five years,” Cuthbertson said with a laugh. And correction, make that 549 wins for Cuthbertson. Braintree went 3-1 in the Super 8 and won the elite baseball tournament. 3. Better than Garden, better than Gillette? The MIAA holds championship events at some pretty amazing venues. The EMass basketball title games are at TD Garden, football is at Gillette Stadium. But the most impressive one just might be the Eastward Ho! golf course in Chatham, site of the girls’ championships. ! contacted the MIAA last year and offered to host the tournament. They gave up the course for free, had free practice rounds, and food throughout the day. All this to help grow junior golf for girls and boys. The 54 players who competed that day didn’t have to be from state champion Notre Dame of Worcester to know how lucky they were. It seems like it’s never been easy for Hull, especially when it comes to outdoor sports. This school year the Pirates have won roughly 35 percent of their games, among the worst in the Globe’s Scholastic ratings and coming off the 2014-15 school year in which the figure was even worse at 26 percent. But Hull Boosters are trying to change that. On June 1 they started a $1.8 million capital campaign to fund a new turf field. Anyone who has been to Hull understands the need. I sent a modest donation to the Boosters . . . hey, I’ll be unemployed soon so I can’t go crazy. Here’s hoping they reach their goal so that one day I’ll see this field hockey score in my Globe: Hull 1, Monomoy 0. The coaches at the finish of the girls’ 100 meters at the City Championships had Latin Academy’s Ashley Lewis winning. But the official at the finish said it was West Roxbury’s Jahphiah Gilliard. Medals were handed out and everyone went home. But the next day when Gilliard saw a photo of the finish she knew she hadn’t won. So the West Roxbury sophomore texted Lewis, saying “Hey Ashley, it’s Jahphiah. I wanted to give you the medal I got for the 100. They made a mistake, you got first and I got second. So I wanted to reach out to you and tell you that.” LA coach Brian Leussler called it “a remarkable display of sportsmanship.” We agree. Matthew Ward scored three goals to help lift Lincoln-Sudbury past BC High in the Division 1 title game. For anyone thinking that the graduation of Eric Holden, Harlan Smart, Caleb Geitz, and Connor McCarthy meant next year, maybe, just maybe, someone other than the Warriors had a shot at the state title, think again. In the first half of the state title game against BC High, freshman midfielder Matthew Ward scored three goals to get the Warriors off and running. “Matt was huge in that first half coming up with some bigtime goals to fuel us for the rest of the game,” said McCarthy. 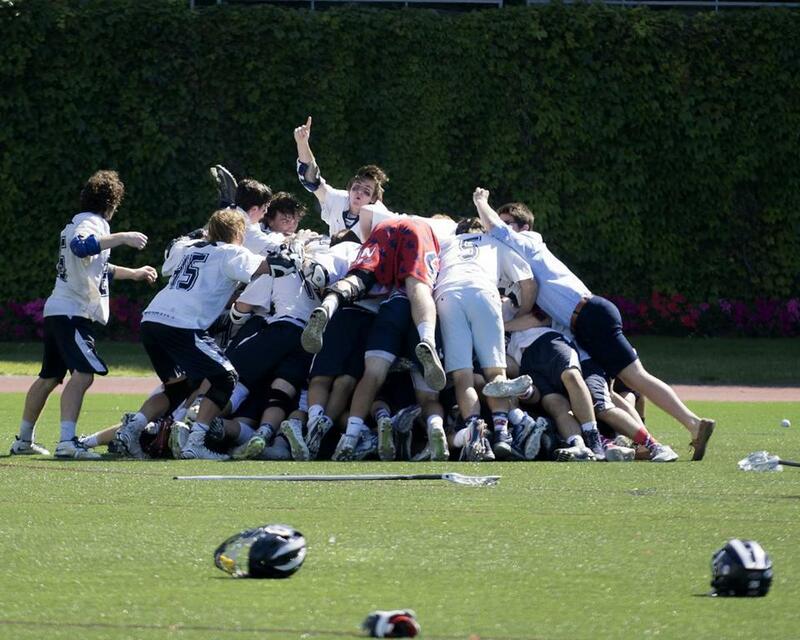 For L-S, the title was the second straight and its season included an undefeated record against Massachusetts schools. Don’t expect that to change any time soon. How was your June? No matter how it was, it probably wasn’t as good as the one King Philip pitcher Kali Magane had. KP entered the tournament as the No. 7 seed, one of many strong programs in the Division 1 South softball field. Then Magane took over. The senior threw three straight shutouts to get to the South title game, where she beat top seed and previously undefeated Silver Lake, 5-2. 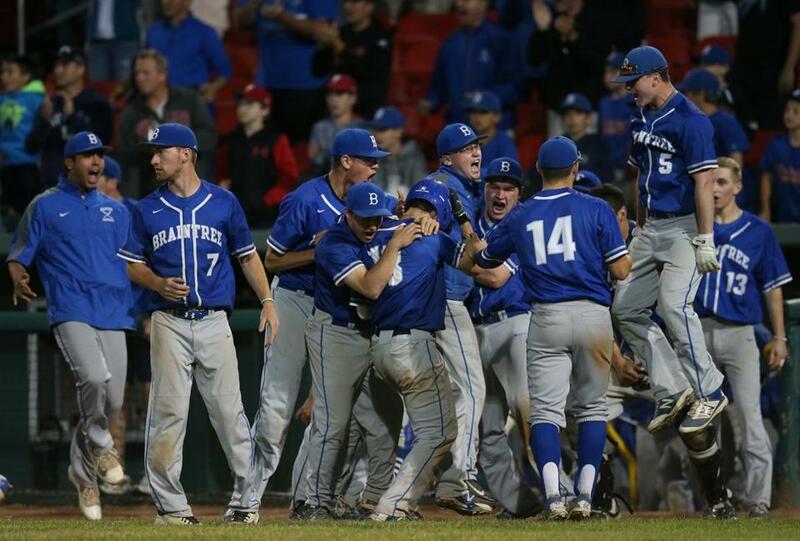 Obviously upset at giving up two runs, Magane settled back in and threw back-to-back shutouts, including a 5-0 win over Doherty in the state title game. “She’s a tremendously smart pitcher,” coach Norm Beauchemin said of his senior. Especially in June. Here’s hoping there’s a hammock or a beach in Thomas Ratcliffe’s future. The Concord-Carlisle senior deserves to relax after a season in which he seemed to be flirting with a record run every time he laced up his Nikes. At the state championship he ran a 9:00.52 in the 2-mile, just missing Alberto Salazar’s record. At the adidas Dream Mile, featuring some of the top runners in the country, the Stanford-bound Ratcliffe finished second in 4:04.41. All this after he started June by breaking the state and New England record in the mile by running a 4:01.5 at the Adrian Martinez Classic in Concord. Hammock or beach. Your choice, Thomas.